I’m already shaking inside typing this. My emotions are all stirred up and there are tears in my eyes. It’s because I want to write about my Dad. 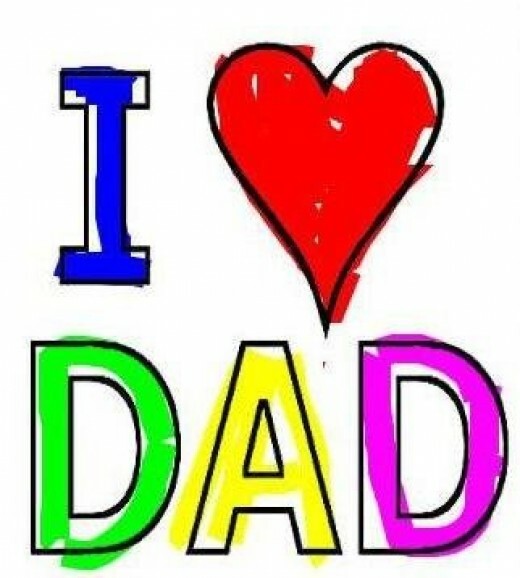 This Sunday will be Fathers Day here in Ireland and although part of me is really shy, maybe even a bit anxious to write and release this Blog out into the world, the other part of me, the best in me, wants to write it – for who? Well … for me and for him really. So, another deep breath to choke back the tears and off I go. A few weeks ago my Dad came to my “Call to Purpose” Workshop. It’s the only public Workshop that I run and he asked me if he could come along. He’d been asking me for months actually but because he had been working abroad, the timing had never been right … until now. He’d never seen me in my work environment and I’d never been seen by him in my working environment, so it was going to be a new experience for both of us and would add a different dynamic to the day for all those attending too. I saw my purpose and path clearer than ever before and I saw how my Dad had influenced me so much on this, through all he had done for me. I started to look through the lens of gratitude and began to notice all the opportunities he had given me. From that place, I began to see the linkages and connections between what I was now doing in my work and what he had opened me up to, as a child and young person (and still is, to be fair). And then I saw so clearly for the first time in my life, that in actual fact, there was an evolutionary purpose at play here – that in fact it seemed part of both mine and his destiny was that I should be running this kind of Workshop and doing the kind of work that I am doing because of how he had purposefully influenced and educated me. He had opened my mind to so many things from a very young and tender age. He had taught me to read with flashcards on the floor before I could even walk. He invested time with me always to expand me and show me more of who I was and what I might be capable of. By the age of nine, he had introduced me to so much – speed reading, mind mapping, memory games, meditation, playing the tin whistle, his love of Ireland and the outdoors. He introduced me to Sufi stories, to Rumi, Idries Shah, the Mulla Nasrudin and Kahlil Gibran (Google them if you’ve never heard of them) and encouraged me to draw and be creative with words through story and poems. He was always expanding me and opened up a rich world of possibility and opportunity for me from the very beginning. I hadn’t realised it so fully before but his underpinning thread was always about potential and about showing me how I could be more and how there was more to me – he was always helping me to be the best I could be. In some ways, how could I have ended up doing anything else than what I am doing, in my life? So with these new insights and clarities, I saw how running this Workshop with him there was like coming full circle. I could give something back to him and I found that not only was I looking forward to being able to facilitate him but that I was absolutely privileged and humbled to be able to do so. So, how did it go? Well, it was a truly wonderful day, one like no other and one that I will cherish forever and ever. I actually feel that a great healing took place between us on the day and that the experience brought us closer. How could it not I suppose? I was truly seeing him for who he was and all he had done for me and in return he could see himself a little more clearly and purposefully too. One of the guys who attended that day emailed me the following week and commented on how he had observed the significant influence our parents have on our lives and the profound effect the passing of the parents of some of those present had on them. He shared a beautiful passage with me that he had read at his own Father’s funeral some years back. I’ve included it in the Blog below. Its beautiful and very thought and emotion provoking. So, as we approach Fathers Day, take a few moments to read the passage below and think about the purpose of your Father in your life – whether he is still with you, no longer with you or indeed never been with you. And if you are a Father right now, maybe think about what your purpose as a parent is, in a more conscious way. Happy Fathers Day to all the Dads out there and thank you for your powerful imprint on our lives. And to my own dear Dad, Jim McCarthy, thank you for your amazing vision, your brilliant mind, your powerful influence, your big laugh, your powerhouse of energy, dynamism and creativity, your generosity, your love and your spirit always. I love you. “Our parents cast long shadows over our lives. When we grow up we imagine that we can walk into the sun, free of them. We don’t realize until it’s too late that we have no choice in the matter; they’re always ahead of us. We carry them within us all our lives, in the shape of our face, the way we walk, the sound of our voice, our skin, our hair, our hands, our heart. We try all our lives to separate ourselves from them and only when they are dead do we find we are indivisible. Bí chomh iontach is atá ar do chumas. Signup for latest news, advice and updates – you can unsubscribe at any time.